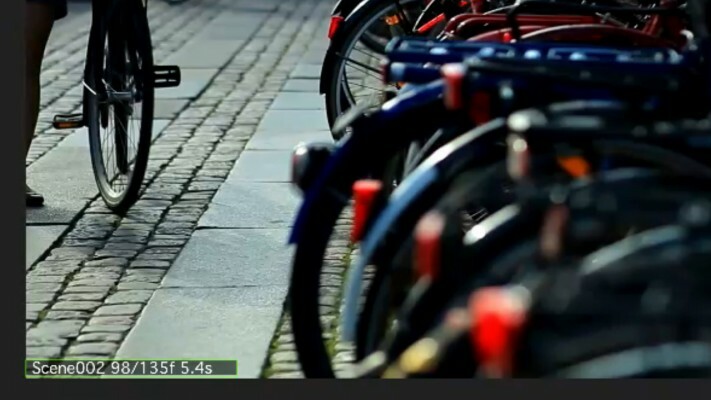 Get your project perfectly organized in seconds by pre-composing your shots automatically. Try it for free. just because you wanted a well organized project? Pre-Compose Geek helps you get a perfectly organized project by pre-composing your shots while automatically trimming and naming them. Pre-compose and name pre-comps by given prefix. Optionally "Leave all Attributes" when pre-composing. Place each pre-comp in a dedicated folder within a master comp folder. 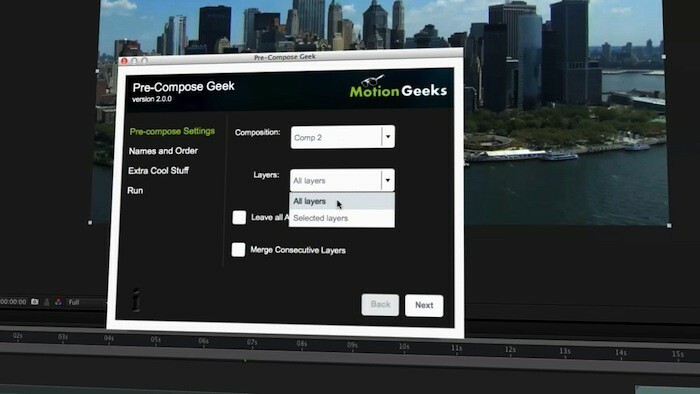 We are using PreCompose Geek on a feature film to help with conforming RED footage. 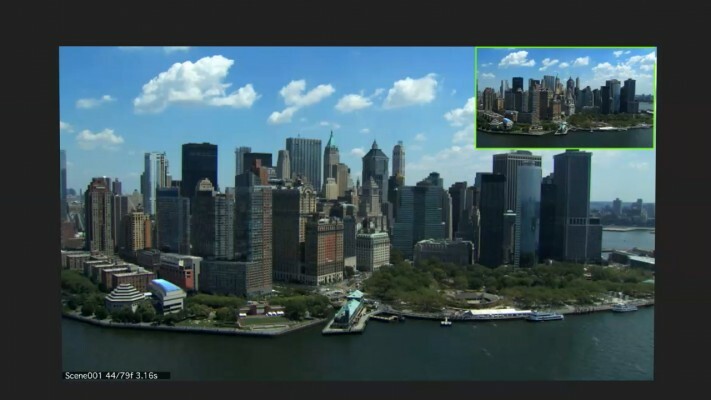 It works great and saved us from having someone PreComp thousands of footage layers. Thanks! 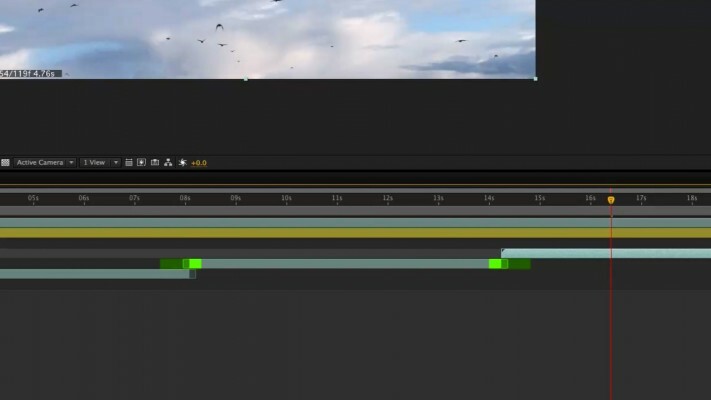 Makes the Premiere-->AE workflow a breeze! One click and everything is neatly organized and arranged in pre-comps. Exactly what I was looking for. Thanks Geeks! Awesome :) Just what I was looking for. Why do I Need a Perfectly Organized Project? 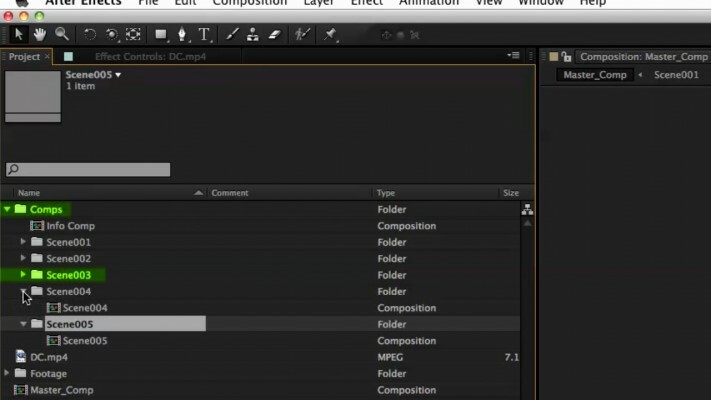 A well organized AE project structure saves you time and money by allowing you much easier work and maintenance, especially when the precomps follow a naming convention and are sorted chronologically on the timeline. Get the free try to experience it yourself. How Much Time and Money Can I Save Using Your Product? Pre-Compose Geek can save you 1 to 2 hours of repetitive manual work on complicated projects and 5 to 15 minutes on relatively simple ones, this really depends on the clip duration and how many shots you have. The longer the clips and the larger number of shots you have, the more time it saves you. As for the money: do the math yourself. We also love to hear what our customers have to say, be sure to email us any feedback as well ! This product will save you hours each month - at a one time cost of less than a hourly rate! 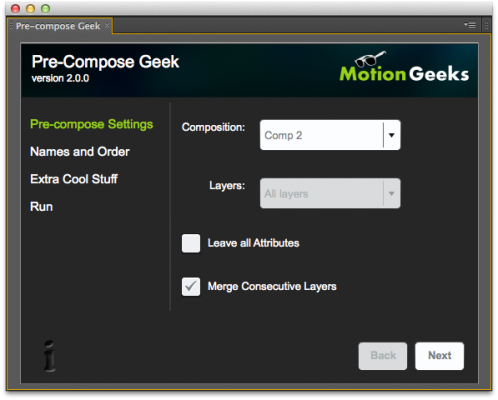 Upgrade notice: If you own Pre-Compose Geek 1 the upgrade is FREE. Make sure you login to the same account that was used for the original purchase. Please contact support if you have any questions.